Abeja means bee in Spanish, and the name is an homage to the winery’s respect for nature, sustainability and agricultural roots. Founders Ken and Ginger Harrison launched their first vintage in 2001 with the goal of producing world-class Cabernet Sauvignon. That remains a primary goal at Abeja, with Cabernet constituting roughly 70% of the winery’s total production. The wines are made in a beautifully renovated mule barn, which is just one of the many 100+ year old renovated farm buildings that now make up the Abeja Winery-Inn, and provide enchanting facilities for weddings, dinners or overnight stays. With its sought-after wines, estate vineyards, gracious facilities, and stunning rural setting, it’s no wonder that Abeja is considered one of the top wineries in Washington to visit. Daniel and Amy met at Columbia Crest Winery where he was working mainly with red wines and she with whites. They married in 2009, and came to Abeja in 2016 as Head and Associate Winemakers. The husband-wife team is continuing the traditional trajectory of Abeja, but has added Cabernet Franc wines to the lineup of Cabernet Sauvignon, Merlot, Chardonnay, Syrah, and Viognier. Daniel and Amy make all wine making decisions together, doing their best to apply science to art, which is the heart of their winemaking philosophy. It’s not typical to go from making a million or two cases of wine to making 5,000+ cases, but that’s what Daniel and Amy have done, as they explain in this fun and informative interview. SODO Urbanworks in South Seattle is becoming a destination place for wine, beer and food. So it’s no surprise that Structure Cellars co-owners Brian Grasso and Brandee Slosar decided on this venue for their winery and two tasting rooms. Each tasting room offers a unique experience, with distinct wines and music, but they share the friendly, passionate spirit that Brian and Brandee provide with every pour. A recent visitor to Structure Cellars said of the tasting rooms, "I would go there every weekend if I lived in Seattle....I think people know each other, and the owners know their people." Brian and Brandee care passionately about their wines, and their many club members and visitors. Diverse music, memorable food, and award-winning wines are what you will find at Structure Cellars events and tasting experiences. A major architectural project and passion for wine came together to create Structure Cellars. While sipping Brian’s first wine amidst exposed studs and joists in their fixer-upper home, the couple thought about the foundation of both their wine and their house—structure. Structure Cellars was born that evening, eventually licensed in 2011, and by 2017 the cellars included two tasting rooms and a winemaking facility. 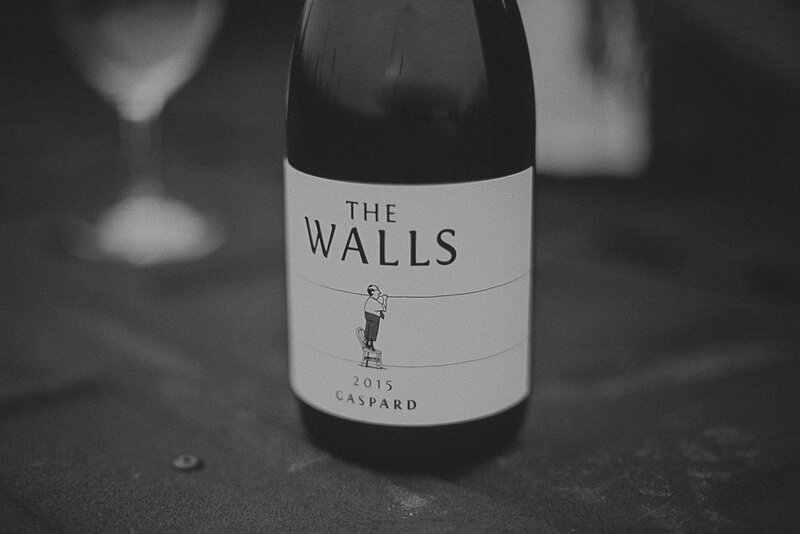 Although Brandee admits to failing at architecture, she has a degree in the field, and her knowledge influences the name of the cellars and many of the wines. For example, the white-label Structure wines are all “Foundation” wines, and the blue-label wines all have Project Titles such as Oculus, Bartizan, Piloti, and Newel, all architectural terms. Brian and Brandee also make brown-label, terroir driven wines, which are all single varietal and single vineyard wines. Listen here for the stories behind the wines, the names, and the couple who create a joyous experience in the SODO neighborhood of South Seattle. 14 Hands Winery is one of the most amazing success stories in the U.S. wine industry. Starting in 2005 as a producer of restaurant-only wine, 14 Hands today produces over 2 million cases of wine distributed nationally and internationally in restaurants and retail outlets. The name “14 Hands” is rooted in place, referring to the height of wild horses that once roamed the hills of Eastern WA, and appropriate for a winery located at the base of the Horse Heaven Hills AVA. 14 Hands is part of the parent company Ste. Michelle Wine Estates, but operates independently in a beautiful new facility opened in 2014 in Prosser, WA. Keith Kenison has been at the helm as head winemaker for 14 Hands since the earliest restaurant wines were created. An Oregon psychology major turned Washington winemaker, Keith has led 14 Hands to its current status as Washington’s second largest winery. 14 Hands is known for quality wine at affordable prices, and this combination helps explain its remarkable success. Most 14 Hands wines available in retail outlets display a label with brightly colored wild horses and sell for $10 or $12 a bottle. The Hot to Trot blends have been phenomenally successful, with the red blend now one of the best-selling red blends in the U.S. The 14 Hands Brut and Brut Rosé sparkling wines made with the traditional Champagne method are an amazing bargain at $15 a bottle. In 2014, 14 Hands added Reserve wines to its line-up, which are $22 and $35 per bottle, and are sold only in the tasting room or online. There is also a Vintage Series wine that is the best of the vintage each year. The 14 Hands wines are so well known and popular that the winery produces official wines for the Kentucky Derby. Long before Rattlesnake Hills was an official wine region, Leland and Lynda Hyatt planted a 15-acre vineyard in the area and sold their first wines several years later in 1987. Those 15 acres have expanded to nearly 200 today in 4 different vineyards, all within several miles of the original plantings. Their wines are made with estate fruit, which includes Bordeaux, Rhone, Zinfandel, Riesling, Chardonnay and Black Muscat varietals. The setting is perfect for picnicking, concerts or weddings, with beautiful views of the Yakima Valley and the mountains beyond. Hyatt is part of the Rattlesnake Hills wine trail offering many different winery stops, so a perfect destination spot for a day or weekend of tasting. Hyatt Vineyards is known for estate grown, family owned, quality, affordable wines made under the Hyatt Vineyards and Roza Ridge labels. Most of the wines are priced between $10 and $15, with a few Roza Ridge wines at $20 per bottle. You will find both single varietal wines and a few blends, as well as some varietals not typical to Washington state. For example, Hyatt produces a Zillah Gorilla Zinfandel, which offers a taste profile very different from a California Zinfandel. They also produce a Rosé with Black Muscat, a varietal created in the mid 19th century by an Englishman, and an ice wine with Riesling. Hyatt Vineyards is one of the largest producers in the Rattlesnake Hills AVA, with roughly 15,000 cases made each year and marketed nationally. Kent and Allison VanArnam have created a destination vineyard and winery atop the Rattlesnake Hills with stunning views of Mt. Adams and Mt. Rainier. After purchasing the orchard property in 2007, they removed over 6,000 pear trees one by one with their tractor, planted each and every grape vine, and built an impressive facility that includes tasting room, winery, catering facilities, and indoor/outdoor dining venues. They did all the work themselves, designing and building the structures, stage, gardens, and even the stainless steel fountain! A Tuscan-style guest house for renting is in progress, as is the clearing of additional acres for vines. Their day jobs are in Ridgefield not far from Vancouver, WA where they have a second tasting room in the Cellar 55 Co-op Tasting facility. VanArnam Vineyards is planted to Bordeaux and Syrah varietals, and all the red wine produced is from estate fruit. The single varietal Cabernet Sauvignon, Cabernet Franc, Merlot, Malbec and Syrah wines are 100% varietal, though the VanArnams also produce two red blends—Melange and Red River. The 2011 Melange received 91 points from Wine Spectator, and is to date the only VanArnam wine that has been submitted to Wine Spectator. The VanArnams also produce white wines, typically with Viognier, Roussane and Riesling varietals from nearby vineyards. Listen to the interview to learn about this stunningly beautiful sipping stop along the Rattlesnake Hills Wine Trail, and the VanArnam winemaking philosophy, including information about vin de goutte, yeast selection, reserve wine protocol, and much more. Led by Seattle attorney Alec Bayless and foreign correspondent Albert Ravenholt, a group of investors purchased land for Sagemoor Vineyard along the Columbia River north of Pasco in 1968. At that time, Washington had barely a half-dozen wineries and no sizable commercial vineyards. When in 1972 planting of vines began at Sagemoor and the nearby additional properties of Bacchus and Dionysus, Washington’s first large-scale commercial vineyard was taking root. Today Sagemoor Vineyards includes these three original vineyards, as well as Weinbau and Gamache, totaling over 1,000 acres in both the Columbia Valley and Wahluke Slope AVAs. Director of Vineyard Operations Kent Waliser and Vineyard Manager Lacey Lybeck work with Sagemoor staff to customize grape-growing practices for the winemaking needs of over 100 wineries throughout the state. When Allan Bros., Inc. purchased Sagemoor Vineyards in 2014, Kent saw an opportunity to pursue his long-time dream of having a Sagemoor brand of wines. He formed partnerships with several winemakers, and Selections by Sagemoor was born, going public in early 2018. It is an online retail shop offering three-bottle boxes of wines carefully selected to highlight the strengths and diversity of Sagemoor Vineyards. Some boxed selections also have an educational component, as they contain historical information, tasting notes, and wines selected around a theme, such as the role of the winemaker or the differences in blocks of the same varietal. Interested consumers can join the list to hear about Sagemoor Selections, with no obligation to buy. Listen to this interview to hear more about the wines, vineyard history and characteristics, viticultural issues needing further research, potential hazards in the vineyard, and much more. In 2004, Andrew and Annedria Beckham bought land on Parrett Mountain in Oregon’s Chehalem Mountains to build a pottery studio. Andrew was a ceramics artist/high school art teacher and looked forward to making pots in his new studio during hours outside the classroom. Annedria was about to pursue a degree in physical therapy. But then they discovered vineyards on nearby mountain slopes, and their careers took a very different path. By 2005 Andrew was volunteering in local vineyards and wineries, and in the same year planted their first vines. It was the beginning of what is today one of the most unique wineries in North America. When Annedria showed Andrew an article about an Italian woman doing punch downs in clay vessels just as ancient winemakers had done, he said, “I can make those.” The Amphorae Project was born, and Beckham Estate Vineyard became known for its uniquely designed clay vessels, or Novum, and the amazing wines fermented and aged inside. Andrew now sells the vessels commercially, but can’t make them fast enough to meet global demand. Beckham Estate’s original 6+ acre vineyard was planted to Pinot Noir and Riesling. With the purchase of an additional 20 acres, Andrew and Annedria planted Trousseau Noir, Sauvignon Blanc, Aligoté, and several high alpine Italian varietals. Some or all of these varietals may end up in future wines. For now, Beckham’s tasting room offers three estate Pinot Noir wines aged in oak, and Pinot Noir, Pinot Gris, Grenache, Syrah, and Vermentino wines made in clay amphorae. Listen to the interview to hear more about these wines, the challenges of creating clay vessels appropriate for winemaking, the effect on wines of fermenting and aging in clay, and much more. AniChe Cellars is a family owned and operated winery, with three generations offering a hand as the crush season begins. 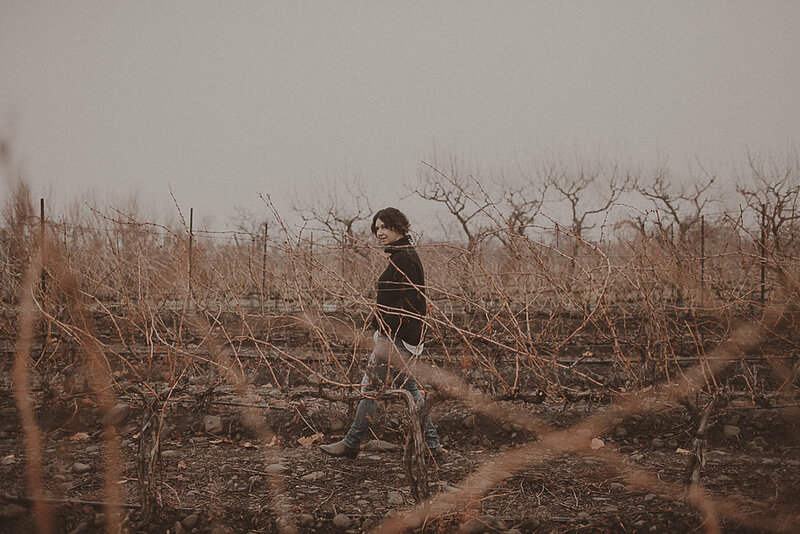 All the winemakers are women, and they see themselves as trailblazers who “lead, scout and machete [their] way into the future.” They are committed to making the wine industry more accommodating to women, and to sustainability on the farm, in the winery, and for the community. For example, they support decent pay for growers, flex time for employees, Salmon Safe practices, and organic and biodynamic farming principles. All employees have a seasonal reading list on their bio page, and many wines are named after literary characters or works. One is even named after an ancient wine measurement and Underwood typewriter key, which is fitting for a winery located on Underwood Mountain in the Columbia Gorge. With backgrounds in catering and fine dining, it’s no surprise that winemakers Rachael Horn and Anais Mera make blended wines with specific foods in mind. They see wine as a supporting actor, bringing out the best in foods at the family table. Their Sirius wine, for example, is the perfect pizza wine, combining Dolcetto, Barbera and Zinfandel varietals. Tastings at AniChe come complete with food pairings, and the four annual wine club dinners offer such cuisines as French, Spanish, Oaxacan and Moroccan with appropriate wines and entertainment. You will find at AniChe unique Rhone, Bordeaux, Spanish, and Austrian style wines, including one made in clay amphorae like those used in ancient times. The tasting-room site also offers one of the most spectacular views in Washington state. After graduating from Western Washington University with a marketing degree and lots of guitar-playing hours for the Crawdaddies, Chris Gorman went to work for a small Italian importer in Seattle. Several jobs later he was tasting wines from all over the world and travelling as a sales representative to Italy, Spain and Germany. He fell in love with Italy and winemaking and eventually turned his Seattle garage into a winemaking facility in 1999, going commercial in 2002. From the beginning, he was partial to the "flavor, power, grace and structure" of Red Mountain fruit, and worked to make concentrated wines full of flavor to drink either by themselves or with food. It wasn’t long before Wine Spectator recognized Chris as a rising star in U.S. winemaking, and in 2017 his Zachary’s Ladder blend was on Spectator’s top 100 list. Chris is passionate about creativity, whether he’s winemaking, playing guitar, or cooking, and he excels at all three. Many wineries seek to bring wine and the visual arts together, but at Gorman Winery the emphasis is on combining wine and music. Several dozen signed guitars decorate the tasting room walls, and many of the musicians behind the signatures have performed in the tasting rooms. Gorman patrons can also access music via state-of-the-art pinball machines, accessible while sipping. Gorman wine names, such as Pixie, Evil Twin, The Devil You know, and The Bully, are as memorable and unique as the wines which they refect. Although the Gorman wines are typically Bordeaux and Rhone style, Chris is also a huge Chardonnay fan, and has created a special Ashan Cellars label for his Chardonnay wines. Lines on Wines wishes Chris all the best with his upcoming move to a new winemaking facility in Maltby, WA. Tasting rooms will remain in Woodinville! Rudy Kurniawan helped to bring national attention to wine fraud in the U.S., and there is now a documentary Sour Grapes about his story. But wine fraud is a serious international issue, as this interview and some wine publications make clear (see winefraud.com). Just last month, Wine Spectator (June 2018) had an article titled “France Grapples with Wine Fraud.” Experts have devised many ways to detect wine fraud, mostly without opening suspected bottles. For example, they examine labels for uniformity with respect to aging, look at fonts, the age, stain and stamp of corks, consistency in age between capsule and label, weight of bottles, and so forth. Others combating wine fraud look at the wine inside to examine its chemical components. At Central Washington University, chemistry graduate student Shirley Orellana, working with Professor Anne Johansen, just won the university’s Best Thesis Award for her Master’s thesis “Geographic Classification of Wines Using Their Elemental and Water Isotopic Composition.” The thesis geographically classifies 133 wines from Washington state, California, Europe and South America, using their unchanging chemical elements such as metals, non-metals and water isotopes, with the goal of helping to combat wine fraud. The two researchers conclude that 11 elements are significant for classifying wines from these geographic regions, with manganese, zinc and lead being the three most significant elements. Shirley and Anne are the first to offer a chemical profile, or “fingerprint”, for Washington terroir, and you can hear all about the process and its larger implications in this interview. For as long as he can remember, Gordon Taylor has been involved in agricultural work, starting with stall cleaning and tractor driving on his family’s Canadian beef farm. In college he developed a passion for agricultural research, which led him to a job with Ocean Spray Cranberry where he helped to develop craisins. When the company sent him from the East coast to Prosser, WA, he realized that he had landed in one of the top wine regions of the world. 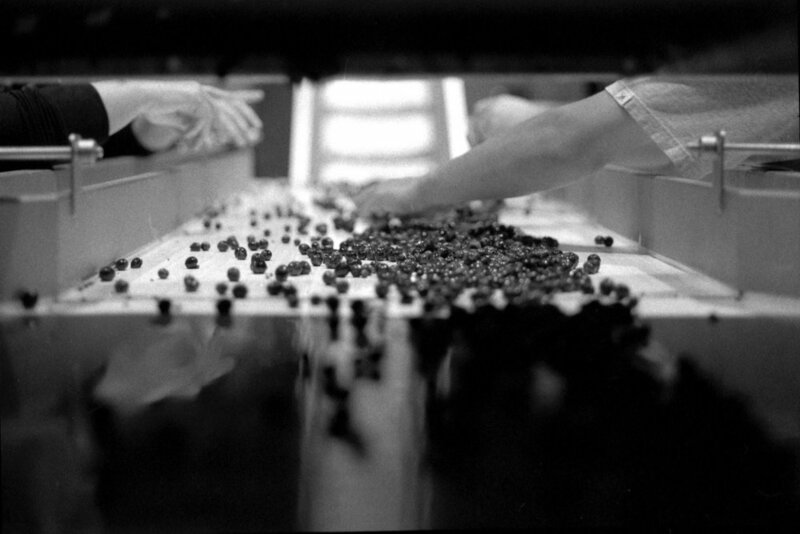 His job involved many non-alcoholic juices, but the attention to detail, emphasis on cleanliness, and knowledge of equipment required to produce quality fruit juice were all good training for making wine. He went commercial with DavenLore wines in 2005, with one of the most memorable and mysterious logos in the business. You need to visit the winery to explore the mystery of Petro. Gordon favors blended rather than 100% single varietal wines, but there are no rules at DavenLore that can’t be broken when necessary. For example, Gordon said for years that he’d never make an Italian style wine, but just recently he made a Barbera. He also makes a very nice non-traditional SVP blend – Sangiovese and Petit Verdot. His best known blend is Aridisol, an anagram of arid soil that is typically a Rhone style wine. Although you can find Petite Sirah at a handful of other WA wineries, DavenLore is the only one that uses the original French name “Durif” for this varietal and wine, one of DavenLore’s best sellers. Listen here to find out more about Durif, the virtues of blending, why Syrah is the winemaker’s dream varietal, how many cases can be produced from a barrel of wine, and much more. When Bart Fawbush went off to college at Gonzaga University, he took lots of biology and chemistry classes to prepare for a career in medicine. But the career he pursued after graduating was business, first as a very successful bill collector, and then as an owner of a mortgage business. A chance day trip spent wine tasting in Woodinville with a friend led to another career shift. Bart was amazed at the quality of the wines he tasted, and the fact that the winemakers had other day jobs instead of chateaux and generations of family winemaking experience behind them. He started tasting, volunteering at wineries, and asking lots of questions. By 2007 he was making his own wine, and in 2010 he opened a tasting room in the SODO neighborhood of South Seattle. Making wine in SODO had its challenges, as Bart’s tasting room and winery were in the old Rainier Brewery building, where he had to do everything over a 6-inch drain. Things will be very different from now on, as Bartholomew Winery moved its winemaking operation in December 2017 to the Port of Kennewick’s new Columbia Gardens Urban Wine and Artisan Village. Bart now has a state-of-the-art winemaking facility with tasting rooms in Kennewick and SODO. The wines are amazing for both their quality and uniqueness. You will find varietals at Bartholomew that you don’t see at many other wineries, including Tannat and Primitivo. The Cabernet Franc is a hit as a glass pour at westside restaurants, and the Reciprocity Blend of Carménère and Cabernet Sauvignon is Bartholomew’s best-selling wine. Listen to the interview to hear about other unique varietals available at Bartholomew Winery as well as the serendipitous manner in which the varietals and blends end up in bottles. When Ryan Crane left Seattle to study winemaking in Walla Walla, he was leaving a good job to pursue his passion and calling. 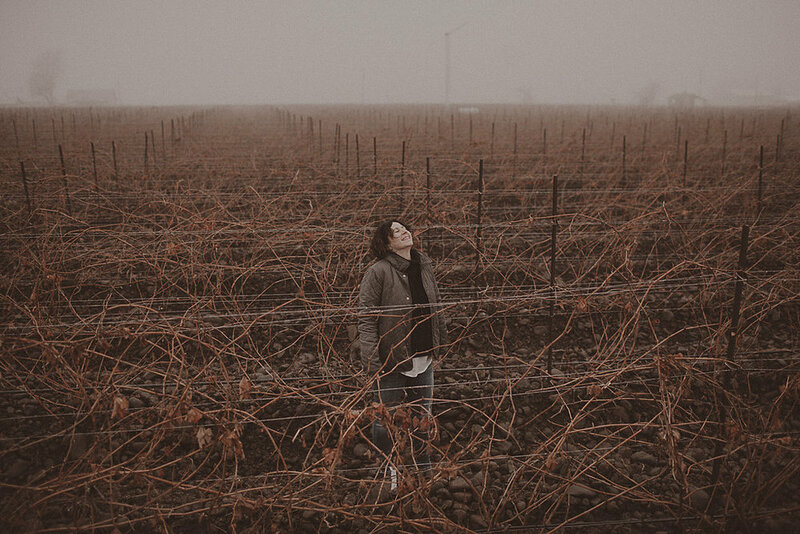 After studying at Walla Walla Community College and working with winemakers Marie-Eve Gilla and Justin Wylie, Ryan founded Kerloo Cellars in 2007, named for the call sound of cranes. His wines are also a call to share in his passion for true-to-varietal, vineyard driven wines. In 2013 Seattle Magazine named Kerloo Washington’s “Best Emerging Winery,” and high scores and accolades continue to come Ryan’s way. He now has a second tasting room in the SODO neighborhood of Seattle, along with a new winemaking facility. Ryan sources grapes from some of Washington’s top vineyards, including Red Willow, Upland Estates, Stone Tree, Klipsun, Blue Mountain, and Painted Hills. He favors traditional winemaking techniques, even foot stomping for some varietals. If you like Rhone wines, Kerloo is the place for you. Ryan currently has Grenache Blanc, Grenache Rosé, three Syrahs, a Mourvèdre, and a GSM blend in his tasting room lineup. He also offers two Cabs - a Sodo Cellars Deadbird bargain at $18 and a single-vineyard one from Klipsun. 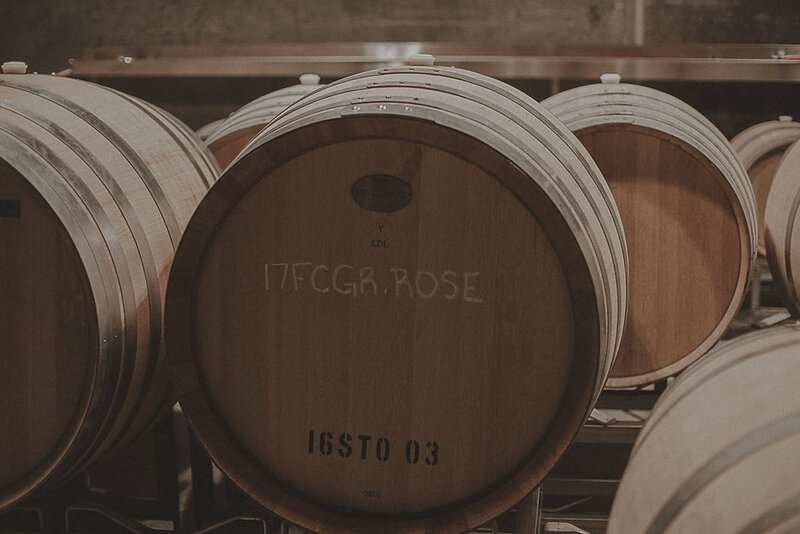 Hear about these wines, whole cluster fermentation, the virtues of concrete barrels for fermentation and aging, the different ways to make rosè, and much more in this interview. When David Padgett’s wife objected to his spending 10 years in chiropractic college, he bought a vineyard and winery instead in the heart of the Rattlesnake Hills close to Zillah. That was in 1999, and the winery-vineyard was Horizon’s Edge started in 1984 by Tom Campbell. The 16-acre vineyard was planted to Cabernet Sauvignon, Muscat Canelli, Gewurztraminer, Pinot Noir, Chardonnay and, eventually, Merlot. The winery and vineyard came with 6 months of training from Tom in winemaking and grape growing. Nearly 15 years later David decided to build a second winery facility that could accommodate events as well as wine tasting. He found the perfect corner lot for what became Maison de Padgett, which is one of the most stunningly beautiful winery sites in WA state. With nearly an acre of European gardens and views of Mount Rainier and Mount Adams, the spacious facility can accommodate up to 400+ guests. David specializes in dessert wines, including late harvest, ice, and port wines. He is probably best known for his port style wines, which come in flavors such as peach, coffee, vanilla, chocolate, blackberry, and raspberry. They are delectable desserts in a bottle. The wine names and labels are as memorable as the flavors. A typical bottle lineup displays funky monkeys, singing toads, unzipped dresses, smoking guns, bite me pleas, and more. All in an effort to make wine tasting a delicious and fun experience. David is also known for unique wines, such as the “Unzipped” white Pinot Noir and a popular “Timeless” late harvest, which is very white and clear, but made with a blend of Sangiovese and Gewürztraminer grapes. Maison de Padgett and Horizon’s Edge wineries are about 5 minutes apart by car, and perfect destinations for spring and summer sipping. Peter Miller is the owner of Peter Miller Books, an iconic Seattle bookshop nestled along Post Alley in Pioneer Square. The shop specializes in books and supplies to do with architecture and design, but you will also find an array of unique items for just about any room in your house, especially the kitchen or study. Peter can talk engagingly about an amazing spectrum of things, including food and wine. In fact, one of the most special things about his shop has to do with food. He and his staff prepare and eat lunch together in the shop nearly every working day. To help others transform the workplace lunch into a social experience that revives them for the afternoon, Peter has written a cookbook: Lunch at the Shop: The Art and Practice of the Mid-day Meal. He has also written a dinner cookbook – Five Ways to Cook Asparagus: The Art and Practice of Making Dinner – for working people who want to integrate healthy cooking into their lives as regularly and efficiently as possible. Peter’s cookbooks are about much more than food. They are a call to action, asking us to slow down, to take back part of the day and make it personal and pleasurable, and to combat distance from each other and from our food. Peter is also a strong advocate for certain types of wine and spirits. He favors red wines of grace and humor as opposed to those that are knee-buckling, whites like rain off the roof, and aperitifs, which he thinks have never caught on as they should in the U.S. Listen to this interview and read his books if you want to make lunch a “moment of a little care and community,” and dinner a pleasure to cook and eat, even when you need to improvise and make do, because you haven’t had much time to plan or shop. At Long Shadows Wineries and Vineyards, old and new worlds meet in WA state to produce amazing wines. Distinguished winemakers from France, Italy, Germany, Australia, and California come to Long Shadows to express our Washington terroir with their special winemaking styles. The on-site winemaker who makes it all happen is Gilles Nicault, named winemaker of the year in 2016 by Seattle Magazine. Originally from France’s renowned Rhone wine region, he fell in love with the Pacific Northwest and has called Walla Walla home since the mid-1990s. 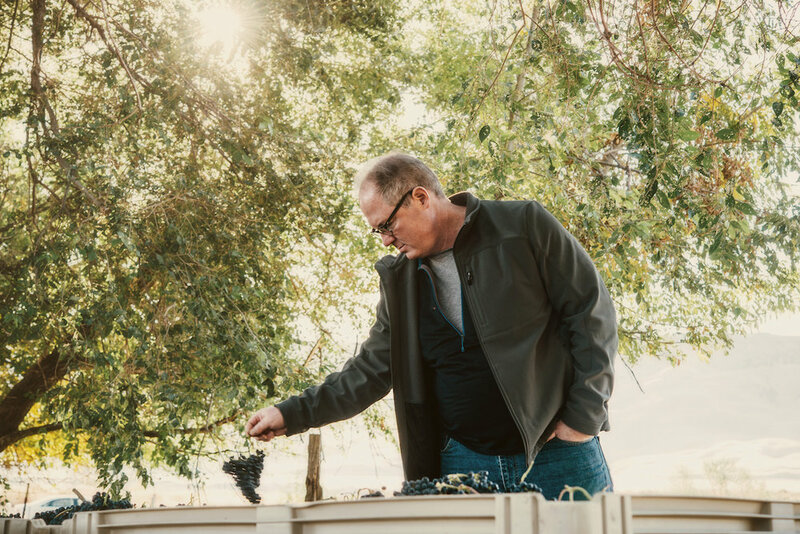 After working with Rick Small at Woodward Canyon, Gilles was hired as Director of Winemaking for Long Shadows when Allen Shoup started the winery in 2003. Gilles is in some ways like an actor who goes in and out of different personas, in this case winemaker personas. He makes six wines to the specifications of other winemakers: Pedestal Merlot Bordeaux blend (Michel Rolland), Pirouette Cabernet Sauvignon Bordeaux blend (Philippe Melka), Feather Cabernet Sauvignon (Randy Dunn), Sequel Syrah (John Duval), Saggi super Tuscan blend (Folonari family), and Poet’s Leap Riesling (Armin Diel). But he also makes his own wines, in particular the Chester-Kidder Long Shadows wine that blends Cabernet Sauvignon and Syrah, with a touch of Petit Verdot. In this interview, Gilles talks about why he considers his position at Long Shadows to be the dream job, the different winemaking styles featured in Long Shadows wines, Long Shadows’ second label Nine Hats, particularly the new Nine Hats tasting room and Nine Pies Pizzeria that recently opened in SODO in South Seattle, and much more. After falling in love with each other and with wine while studying abroad in Chile, Gail and Shirley Puryear settled in CA where he worked as an educator and she as a social worker. They dabbled in wine making and then finally returned in 1979 to Washington state for an education job, determined to grow grapes and make wine in their spare time. With a post-hole digger and a lot of hard labor, they planted their first vines among the Rattlesnake Hills in 1980 when there was only one winery in the area. Today they farm 35 acres composed of two vineyards: the original Chateau Puryear Vineyard and the Morrison Vineyard, the oldest vineyard in the Rattlesnake Hills AVA (planted 1968), which the Puryears purchased in 2001. Bonair Winery and Vineyards is today one of the most enchanting wine tasting destinations in the state. With house and winery architecture reminiscent of England, Spain and southern France, the site offers a European feel with pond-side seating and stunning mountain views. A short walk through vines ends at the tasting room where visitors can sample award winning and very affordable wines, especially Riesling, dry Gewurztraminer, Chardonnay, Bordeaux style reds, and red and white port. If you’re looking for great everyday wines for $15 or less, you will find a nice selection here. Marketing maven Brooke Huffman wears many hats in our WA wine industry. Most importantly for winemakers and wineries, she is founder and owner of The Social Sip – a business that takes expert care of marketing needs for wineries. If you need assistance with social media marketing, website and graphic design, blogs, a newsletter, photos, label design, search engine optimization, or event planning, The Social Sip is eager to meet your needs. In this interview, Brooke discusses key marketing strategies and social media platforms for wineries. Brooke understands the needs of wineries very well, as she is co-owner of Fletcher Bay Winery, a Bainbridge Island winery focusing on full-bodied red wines as well as fruit wines. A resident of Bainbridge Island, Brooke is also the Executive Director of the Winery Alliance of Bainbridge Island. In this interview, she highlights how Bainbridge Island has become a wine tasting destination, especially with its not-to-miss “Wine on the Rock” events four times each year. These events pair food and wine, an activity that Brooke loves as well. She has written about food and wine pairing tips as wine writer for Westsound Home and Garden Magazine, and shares some pairing advice here in her interview. As if all these hats weren’t enough, Brooke is also a member of the Washington State Wine Commission Board of Directors.